Wasn’t able to attend New York Comic Con this year due to tickets selling out fast and late event information. 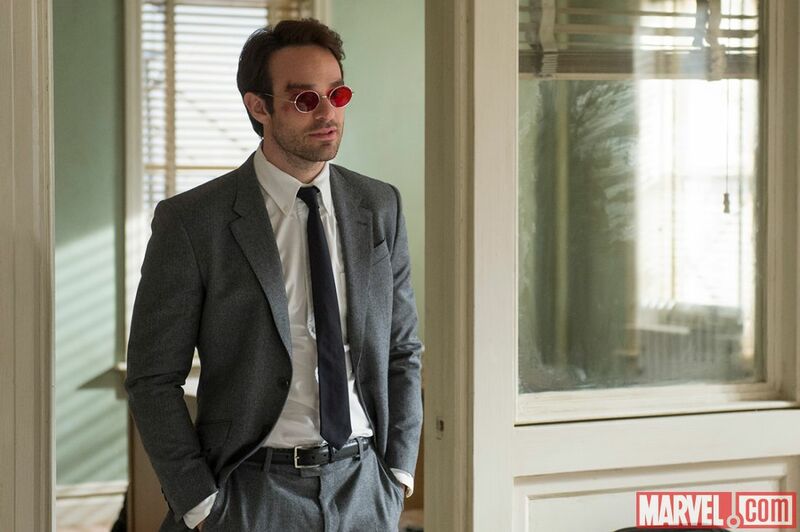 Marvel released two official stills of Charlie Cox (Stardust) as Hell’s Kitchen’s blind-lawyer, Matt Murdock aswell-as his alter-ego which coincided with their panel. 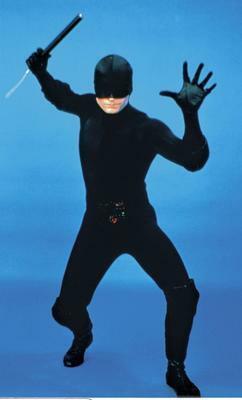 Rex Smith’s outfit from the nostalgic-yet campy Trial of The Incredible Hulk TV movie instantly came to mind despite them calling it “a work in progress” based on John Romita Jr. along with Frank Miller’s mini-series, Man Without Fear. He’ll wear the classic red-horned uniform we know-and-love by the end of the series without a doubt. Glad Stick (Scott Glen) will be featured since he’s the one who trained Matt not by himself. 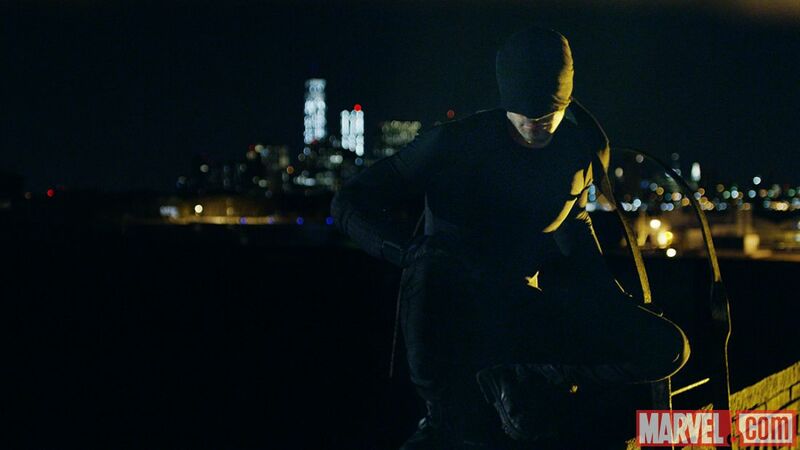 Elden Henson as Foggy Nelson hopefully can supply some decent humor in this otherwise dark show. Ayelet Zurer now has two supporting characters from the two big companies (Lara in Man of Steel) under her belt.